I’m still on that tropical leaf kick – and I don’t see myself slowing down! Ha! If you could see my house you’d also see my 15+ houseplants crowding my kitchen. I love, love, love house plants. However, my house is not well suited for them as we only have two windows that get enough good light. If I had more light-filled windows, I’d probably have twice as many plants taking over each room. It’s also just the time of year that I get an itch to freshen things up and do a bit of redecorating. I’ve had my eye on some curtains for my living room since I’m really not loving out current ones. 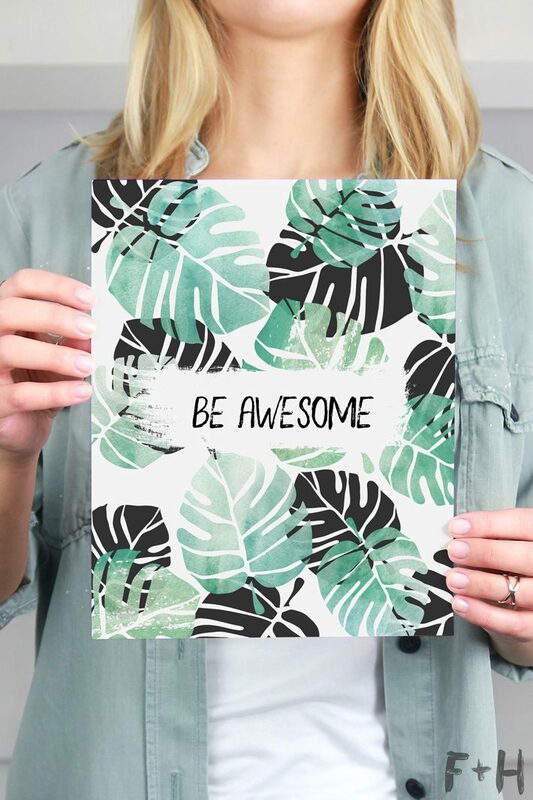 The modern prints are minimal and a clean backdrop for the jungle vibes I’m trying to create! 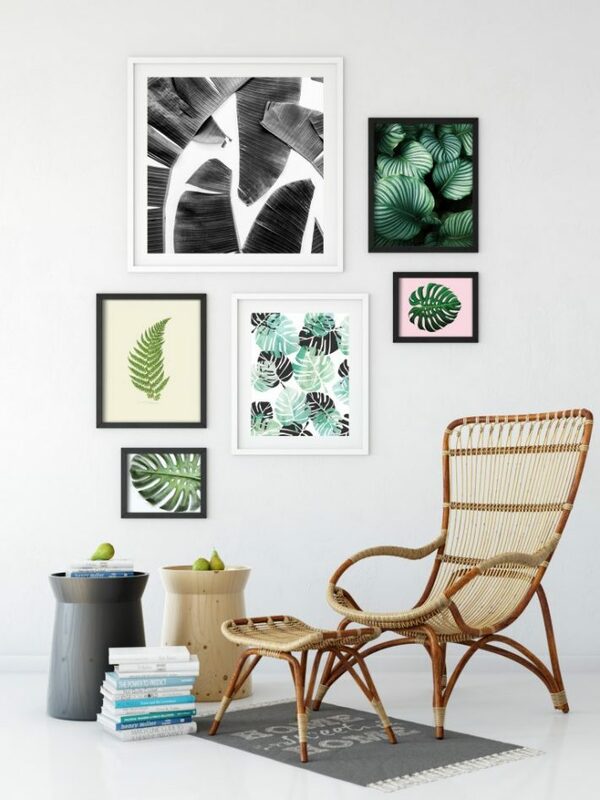 And another way to get my house feeling summery is to fill my frames with some fresh tropical leaf prints. There’s just something so refreshing and homey about having plants in your space. 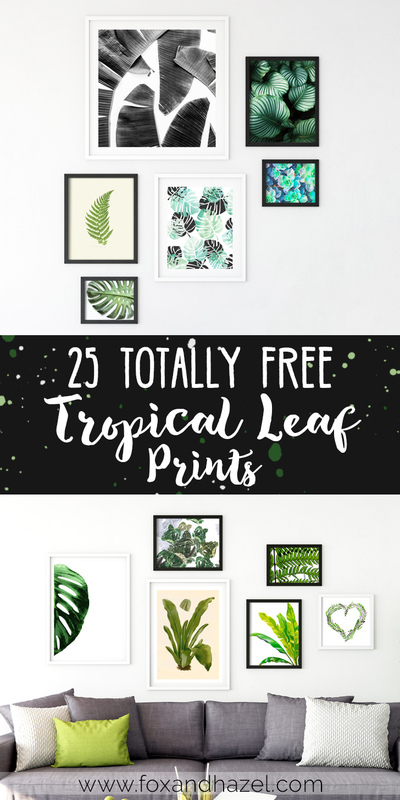 So if you just don’t have the actual space, or can’t keep a plant alive (jury’s still out on whether my thumb is green or black), then these tropical leaf prints can be a great way to bring the green to your home. I’ve rounded up some of the best I could find and hopefully, they inspire you to bring some plant vibes to your home! How was that for all that summery tropical goodness? I hope these tropical leaf prints help you feel ready for summer & bring you all the warm weather. We sure could use some sunshine around here! I’m always looking to add to my houseplant collection, SO, share your faves below! What is your favourite house plant of choice?! Comment below with it! I need to know so I can grow my jungle!! Want even more free wall art? 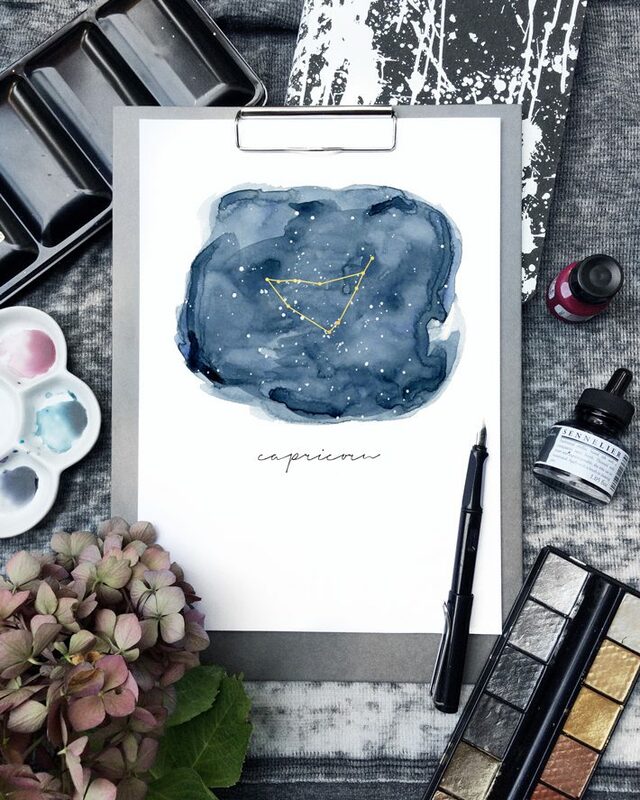 Check out these Free Zodiac Signs Art Prints! Go get these Free Zodiac Signs Prints here! All of these prints are for Personal Use Only. Copyright lays with respective owners and are not to be re-sold. Please do not distribute these files via email or blog. If you loved this post, you can share the love in one of these ways! thank you so much for this awesome artwork! omggg.. thank you so much for creating awesome stuff! Super pretty! Can’t figure out where the link to the download is located? Hi Kate! Which link were you looking for specifically? The prints are all individual links located beneath each respective photo that will direct you to the site you can get the download from. I hope that makes sense!